With our Estate Planning and Elder Law services, we help you or your parent protect yourself and your family as well as your homes and savings. Our goal is to help you age with dignity and peace of mind. Serving clients throughout Massachusetts, Curley Law Firm draws upon more than four decades of combined Estate Planning and Elder Law experience to ensure that you can achieve your planning goals. Curley Law Firm is led by Attorney Patrick Curley, who is one of only 19 Certified Elder Law Attorneys (CELA) in Massachusetts. The value of working with a firm led by a CELA is the peace of mind you receive – knowing that you will get the very best advice available to protect yourself, your family and your assets. A CELA is a recognized expert in legal matters dealing with Estate Planning and Elder Law including Trusts, Wills, Asset Protection against Medicaid and nursing home costs, Medicaid (MassHealth) benefits planning and applications, Estate Tax planning, Probate & Trust Administration, Business Succession planning, Guardianship & Conservatorship, and VA Benefits planning. At a time when many lawyers claim to practice “elder law”, having a CELA-led team working on your planning means having one of the very few experts in the Commonwealth on YOUR team. For experienced representation and quality service from Attorneys who will help you achieve your planning goals, please schedule a confidential Initial Consultation by calling us at (866) 406-8582. 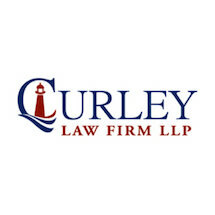 Curley Law Firm is centrally located in Wakefield, Massachusetts and serve clients throughout Eastern Massachusetts including but not limited to Middlesex County (Wakefield, Reading, North Reading, Melrose, Burlington, Stoneham, Medford, Winchester, Andover, Middleton, etc. ), Essex County (Beverly, Beverly Farms, Peabody, Essex, Ipswich, Rockport, Gloucester, Salem, Saugus, Lynnfield, etc. ), and Suffolk County. We practice in numerous District, Probate and Superior Courts including Essex Probate and Family Court, Middlesex Probate and Family Court, Middlesex Superior Court, Woburn District Court, Malden, Salem, Peabody, Gloucester and Lynn District Courts.